Hit the Road With FIDO Friendly’s Car Guy | Will My Dog Hate Me? I’m a big fan of serendipity — and a big fan of the writing of FIDO Friendly’s Carol Bryant. I was excited to discover, a few days after I announced my new Pet Travel Tuesday feature, that the magazine had just published its annual round up of dog-friendly cars, just the type of subject I was interested in highlighting in my next book. I took advantage of my friendship with Carol to ask her to give me some insider information about the car guide — including a sneak peek at it. When it comes to traveling safely with Fido, many of today’s automakers have stepped up to design vehicles that suit the needs of pup lovers. Over the past few years, automakers have better understood the needs of Fido lovers who travel with their pups. Pet-friendly features and accessories are now available from many automakers, including Volvo, Mitsubishi, Honda and Toyota, which introduced the pup-pleasing Venza in 2009. Last year, Honda’s new Fido-friendly Element was the talk of the kennel-set by putting together a complete package filled with amenities for optimum travel safety and comfort. Beyond the vehicle itself, we asked Keith to provide his professional insights and expertise with FIDO Friendly for some ‘behind the scenes’ Q&A. Without further ado, here’s your blog-style backstage pass from our very interesting interview with this roving Rover guru. FIDO Friendly: What makes you the “Car Guy”? Tell us a bit about yourself and how you find the vehicles that make your paw-some list yearly. Keith Turner: I am a veteran journalist who has been writing his self-syndicated auto review column “The Family Car” since 1994 for parenting and dog-friendly publications nationwide. I have worked as a reporter and editor for newspapers in Michigan, California and Alaska, where in 1989 I was privileged to be a member of the Anchorage Daily News staff that was awarded the Pulitzer Prize for Public Service. The vehicles are provided by auto manufacturers for testing and review. FIDO Friendly: Do you actually take the test drives of the cars mentioned in the piece? Keith Turner: Absolutely! We drive the vehicles — provided by the manufacturers for testing purposes — and check out all the pertinent details that families and dog-owners are looking for in a Fido-friendly vehicle. Ability to do at least a minimal amount of off-roading. FIDO Friendly: Do you find that more people are purchasing cars with their dogs’ transport needs in mind? Keith Turner: Yes. Many of the comments we receive from dog-loving drivers indicate that they make their pups a priority when shopping for a new vehicle. In fact, some automakers like Volvo, Honda and Toyota have specifically marketed their key vehicles to people who love to travel with their dog. 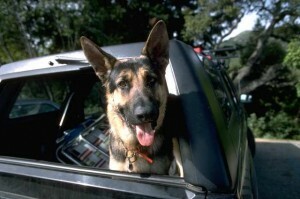 FIDO Friendly: What are some of your all-time favorite vehicles for Fido? Keith Turner: From the very first year that we started reviewing cars from a dog-lovers point of view, a few vehicles have stood out as best in show. The Honda Element, with its boxy shape and easy-to-clean interior has always been a Fido fan favorite and it was such a hit that in 2010, Honda introduced a special dog-friendly version of the Element that is packed with pup-related products,. Unfortunately, Honda has decided that 2011 will be the last year of production for the Element. Other favorites include the Toyota Venza, the Volvo XC-90, Mitsubishi Outlander and the Dodge Grand Caravan. FIDO Friendly: Where can our readers go to learn more about car buying with Fido in mind and to keep up on the latest trends and topics on the subject? Keith Turner: We’ve just started a Facebook page called Family Dog Cars that will include reviews and videos of this year’s best Fido-friendly vehicles. Keep checking back! Now entering our 11th year of publication in 2011, FIDO Friendly magazine includes the very latest hotel and destination reviews along with health and wellness topics, dog training advice, rescue and feel-good stories, contests, and the latest pooch products to hit the market. 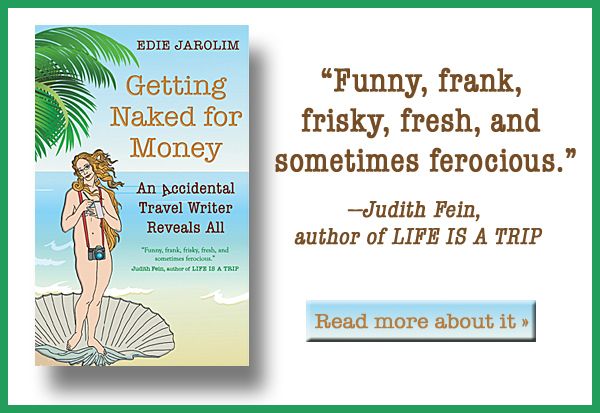 Hey, Edie—-this is a fabulous way to kick off your new blog series! Congratulations! No doubt about it, I’ll purchase my next car with Sadie and maybe a second dog (that’s a whole other subject) in mind. In any case I want enough room to accommodate two large crates. I do have a concern though that is illustrated by the arrangement of the dog kennel in the Honda Element. If that car gets rear-ended the poor dog is going to get smashed. I would much prefer the option of having kennel space in the middle of the rear of the car behind the driver’s seat and passenger seats behind that with maybe air bags at the back of the car to break the impact of a rear-ender on the people passengers. Maybe I’m wrong about how vulnerable the dog is in that location. But, I don’t think so. Thanks for the feedback, Deborah. Maybe I can get the Car Guy to comment on this. I’ll check it out. Ha! you could not have blogged this on a better time. I am still looking for a car to replace our pet-friendly do-it-yourself mobile 🙂 Going to look at all the car reviews now! And here I was so impressed by your do-it-yourself solution to the car problem. I’ll be interested in your feedback — and your final decision. I enjoyed the information about pet-friendly SUVs. I will look into getting a crate that will fit mine. I didn’t completely follow your discussion about the use of the term euthanasia, but it is very thought-provoking. Someone thinks we shouldn’t use it to refer to animals who are put down in shelters? Oops – ‘put down’ too euphemistic!? !- In a society that is so far into denial of death that it can’t even handle funding for a discussion with one’s own physician about end of life issues, I’m glad any attention is paid to this issue of over-pet-population, by whatever name. Though I agree, the language we use is telling. Meanwhile, the most popular ‘career’ choice for many incoming college freshmen is now ‘CSI’ type work. but they are being told there’s a glut on the market already. This is actually a death-centric culture. Great interview Edie! But, now I am bummed. I didn’t know that Honda was discontinuing the Honda Element. Poop! As a pet sitter and dog walker it’s the best vehicle out there! It gets me through the snow. It’s really great that people are sharing this infomiraton. My friend has a Great Dane and bought the Honda Element because both back seats fold up against the side (instead of laying down flat), allowing for more headroom, making it perfect for her big dog.